We are really excited to announce that 2 fantastic therapists are joining us and complimenting our already amazing team. We have some advice on getting your feet ready for the summer, a fantastic response to Acupuncture to help support fertility treatments and using Hypnotherapy to get those new years resolutions going again and how it may help and many issues. Due to the popularity of Thai Massage at the centre we have been joined by another highly skilled and professional therapist. Pat Jaskiewicz was trained by Jan Wojtowicz, the other Thai Masseur and teacher at the centre. Combined with her vast experience and a Masters Degree in Physiotherapy her treatments are more than just a massage routine. Jan said “I can highly recommend Pat’s treatments as her intuition, depth of knowledge and hands on skills are outstanding. A massage with Pat is not about someone going through a routine but about a therapist who is totally immersed and passionate about what she does and whose aim is to give you the best possible treatment she can. Simply brilliant!”. High praise indeed. Pat will also offer Swedish and Pregnancy Massage. Welcome to Nicola Rowe who joins our team to offer friendly professional counselling and support for adults, young people and their families. 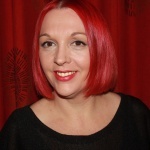 Nicola has spent over 10 years working successfully as an integrative counsellor and mentor in schools and voluntary organisations in and around Swindon. During her time working in education Nicola realised that many young people, and adults, were unable to access adequate support. She saw that the cuts affecting free services meant young people in particular, were waiting longer and longer to access counselling and mental health services. Nicola’s experience and contacts throughout the Borough have helped provide a platform to launch an independent support service for young people and adults that can be accessed right across Swindon and the surrounding area. Call or text Nicola on 07947 397996 or email [email protected] to discuss how she can help you or someone you know. Our Acupuncturist, Michelle Jones, has been helping a lady to prepare for her fertility treatment and has had some amazing results. Michelle explains “Sarah aged 31,had been trying to get pregnant for 3 years. She came to see me in September and was already under fertility investigations but had not received any treatments at that point. When she came to see me she hadn’t had a period for 6 months. I managed to get her to have 3 regular periods so she was able to start a course of hormone injections. She was then advised that she would need to have another 3 periods before they would do an embryo transfer. Again her treatments with me seemed to help. A few weeks ago I got the following message from her: “Hi Michelle just thought I would let you know that I’ve done a pregnancy test and it’s positive! I am in shock. Just want today to thank you so much for your support through this you have been truly amazing and I Thank you.” When I asked her about her experience of having acupuncture with me she said she feels like a different person. She is now calm and relaxed and her body feels much more in synch”. How long do your New Year’s resolutions last? Most of us start with good intentions to lose weight, take up exercise, stop smoking, or change our lives in one way or another on 1 January, only to find that the motivation has gone out the window by the end of January. New Year’s Resolutions can sometimes be an additional pressure that we put on ourselves to do something new or different. However, we need to understand our true motivation and understand the ‘whys’ of what we want to do before we can really fulfil our goals. So, what’s the key to maintaining motivation, what really drives us on to make positive changes? Focusing on positive outcomes or goals usually motivates us more than negative ones. Using solution focused techniques, one of our Hypnotherapists, Alex Viggers with help you to develop a clear vision of how you want to be instead of focusing on what you don’t want. The difference can be profound. Alex can help you set your own realistic goals, make positive progress and maintain your motivation. And the great thing is that, because you have addressed your internal thought processes, the changes are usually long-lasting unlike typical New Year’s resolutions. Are you hiding away those feet for winter? Do you need to get some Spring back into your step?! Lara Cooper, our new foot health practitioner can help! If you are covering up some problem feet such as fungal nail infections or verruca’s these can be sorted out with a bit of TLC from Lara. Its best to get these conditions sorted in the winter months so your feet will be beach ready for the summer! A key tip from our foot health practitioner is to moisturise those feet daily using a good foot cream! A cream with at least 10% urea in will help with the thick callus skin on your feet become softer. Lara works at the clinic on a Wednesday so why not book an appointment and love your feet! Hypnotherapy really can change your life! Tayma Wallbridge, one of our Hypnotherapists was recently asked this question; “Can you tell us about your most uplifting experience treating a recent client?” her response shows the diversity and effectiveness of Hypnotherapy: “I have had so many uplifting experiences including the 9 year old girl who stopped bedwetting in 3 sessions; the 17 year old teenager who felt life wasn’t worth living but is now so busy seeing friends she can barely fit hypnotherapy in to her busy life; the young woman with a spider phobia who is now working as a nurse in Africa on VSO, feeling unaffected by spiders; countless ex smokers and more. However, one particularly uplifting experience is of a client called Emma, a 27 year old woman, who came to me at the beginning of the year with depression and following an attempted overdose. She was very clever and had a good job as a programmer with one of the large companies in Swindon. She lived alone in her own small house near to work and found it difficult to make new friends due to her extreme shyness. I saw her for 8 sessions and over that time saw her blossom in confidence from a 2 to an 8 on her ‘confidence’ scale. At the start she would sit and wring her hands when asked what she might do if she was one point more confident and respond ‘well I might say hello to colleagues when they arrived in the morning rather than wait for them to say hello to me first”. At the end of our 8 sessions she had decided she wanted to live in Bristol where there was more going on, despite this being an hour’s commute to work. Her confidence had improved to the extent that she responded to an advert to be a fourth house mate at a rented house in Bristol and started living the life she had barely been able to envisage at the beginning of living with a vibrant group of other young people”. Call Tayma on 07713 137045 to discuss anything she can help you with. This entry was posted in News and tagged Acupuncture, Counselling, Feet, Hypnotherapy, Pregnancy Massage, Swedish Massage, Thai Massage.